In Mobile World Congress running in Barcelona, ​​Chinese company Newbie launched its wireless smartphone Nubia Alpha. The most typical of this phone in Newbie is that you can tie it and make a clock on your wrist. Flexible screen has been given in the phone to fit the smartphone easily on the wrist. The 4-inch OLED screen given in the phone with 960 × 192 pixel resolution is closely connected to the watch straps. 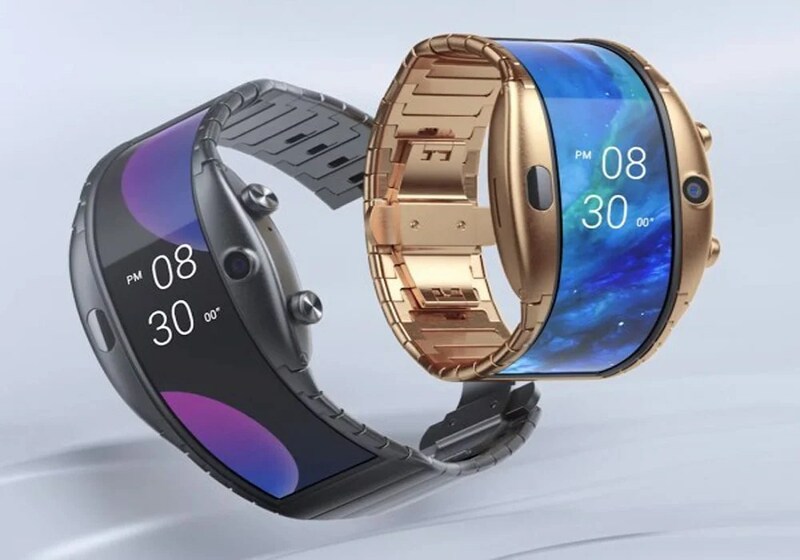 Flexible display in Nubia Alpha is composed of VisualNox. Visnox is known as the top company to create a flexible display screen in the whole world. This screen of the phone is made from the heat registrant polymer polymoid. Which gives protection to its screen. This unique smartphone works on the Snapdragon Wiener 2100 chipset of Kwqlom. The phone has 1 GB RAM and 8 GB internal storage. The phone only has 500mAh battery which is enough for this phone. The company claims that the backup of the phone is fully backed up to one to two days after getting fully charged. The phone's operating system Newbie has developed specifically for this variable phone, and this generic smartphone offers a slightly different filter from the OS.